What can a client see on a budget? 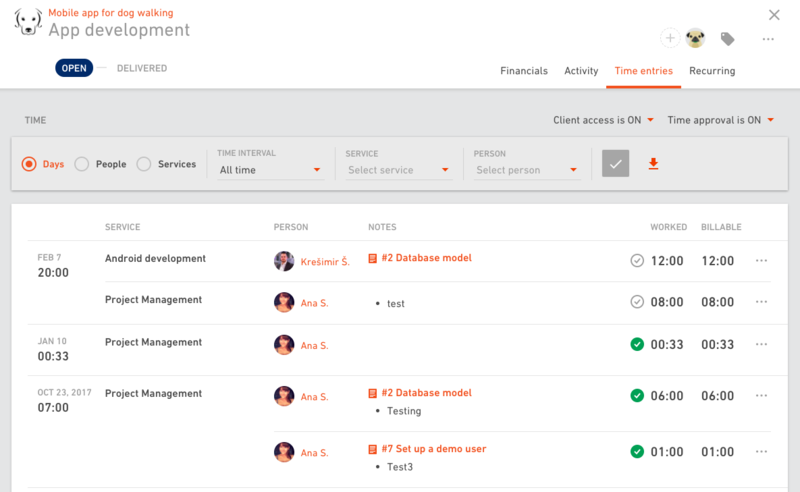 Clients can see only billable information on the budgets. 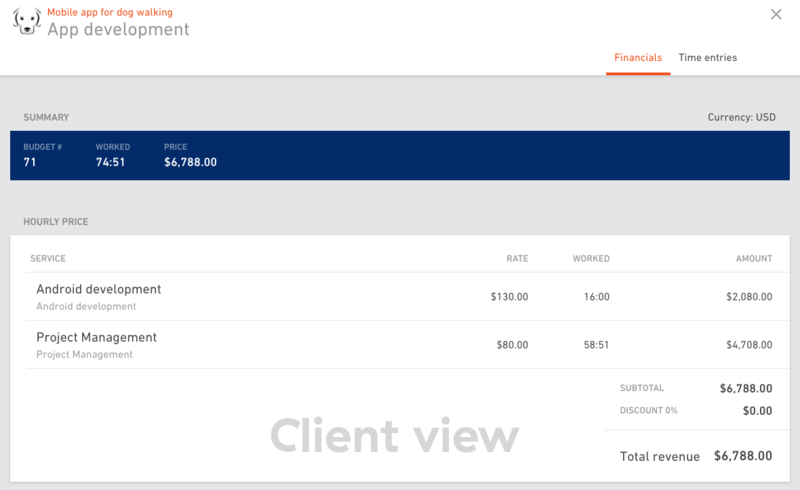 You can turn on 'view as client' to see exactly what your clients see. Notice the difference between what you see and what your client can see. Clients can't see total revenue, profit, margin, invoicing, billable time, rate. The only thing they see is total price for the budget, and total time spent. 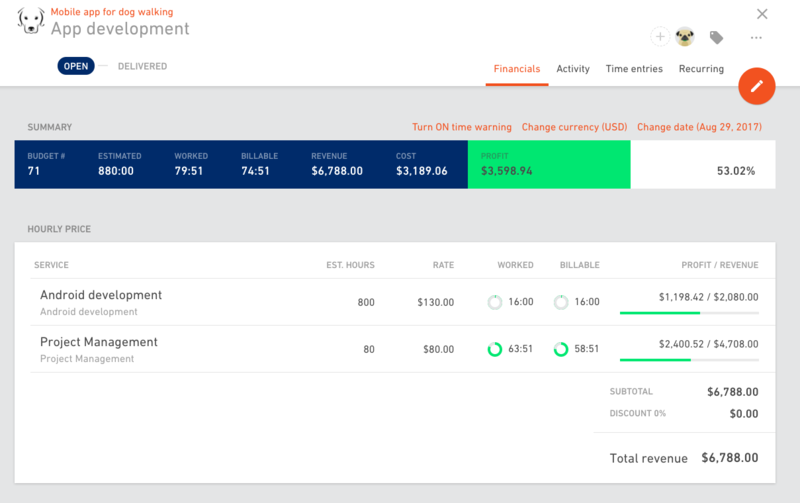 In this example we're showing a budget that has time approval set on and there are two time entries that haven't been approved yet. As you can see, these two time entries are still not visible to your client. They will become visible once a person responsible for this project approves them.